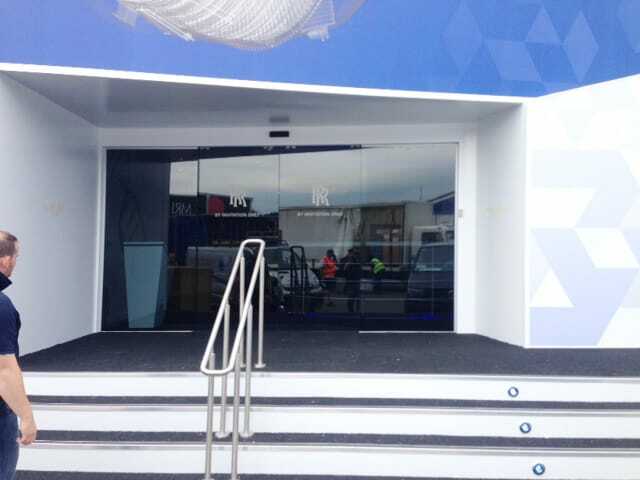 Specialists in the installation, maintenance and repair of all types of automatic doors and pedestrian door systems. With over 30 years of combined experience; the automatic door engineers at Reactive Doors have the technical, project management and service skills to deliver stunning results under the most challenging circumstances. Sliding doors are space-saving, elegant and modern. Glass sliding doors are ideal when it comes to making the most of natural light. Swing doors make going through a door easier in the event that manual operation is too complex or difficult. Telescopic doors blend perfectly into any building’s architecture and are ideal to maximise an opening width. 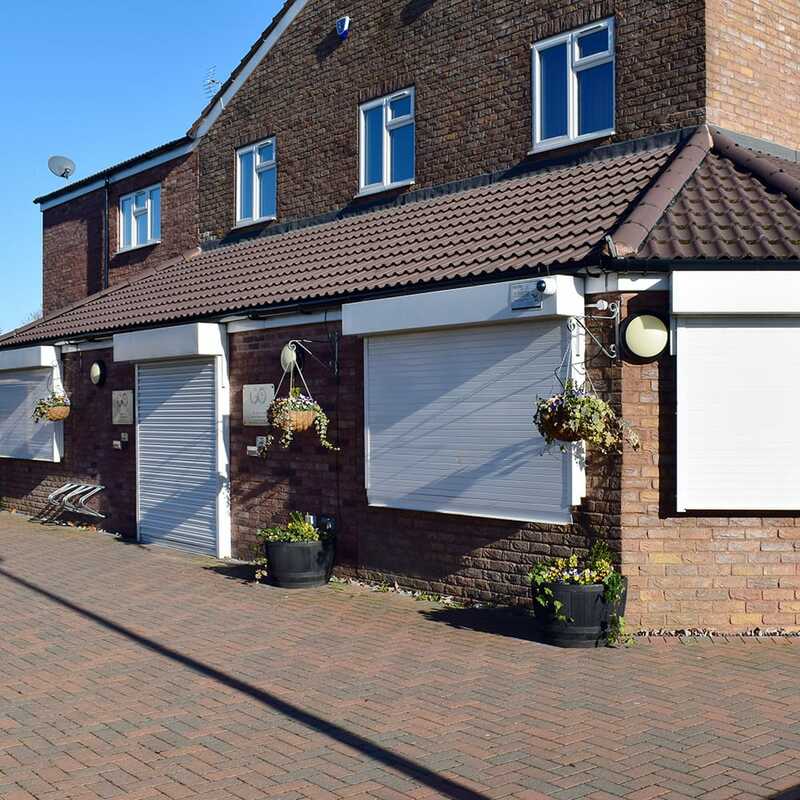 Roller Shutters provide your shop front, garage or warehouse with unrivalled security to ensure your premises is secure upon your return the next day. Access Control systems allow your premises to control, monitor and restrict entry of people or cars in and around your site. 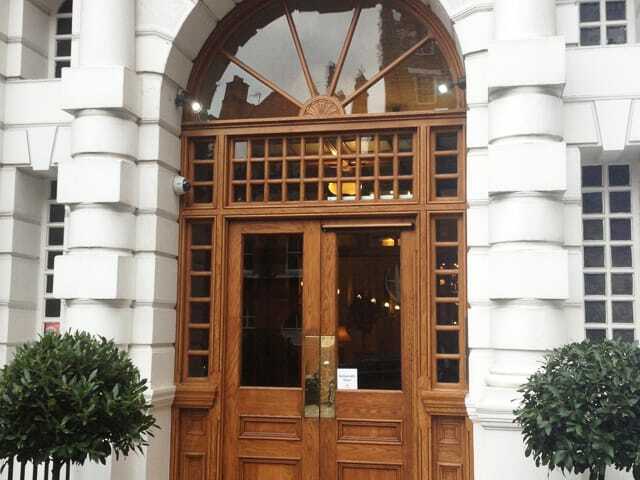 Glass entrances are elegant, modern and let stunning natural light flood into your building. We have now had the pleasure of using Reactive Doors for the last 5 years. It is a pleasure to work with a company that treats its customers so well. I have no doubt that any potential customer would be impressed by the quality of their work and their commitment to you. They have always provided outstanding service. We have more than 30 years experience designing and installing a huge range of both standard and bespoke automatic doors. Our customers include Airports, Hospitals, many businesses and residential areas all over the world. Our fully qualified automatic door maintenance engineers ensure your automatic doors are fully optimised all year round. Once or twice a year an ADSA certified engineer will visit your premises. We know how disruptive it is to your business if your automatic door breaks down - that's why we offer an emergency repair service. 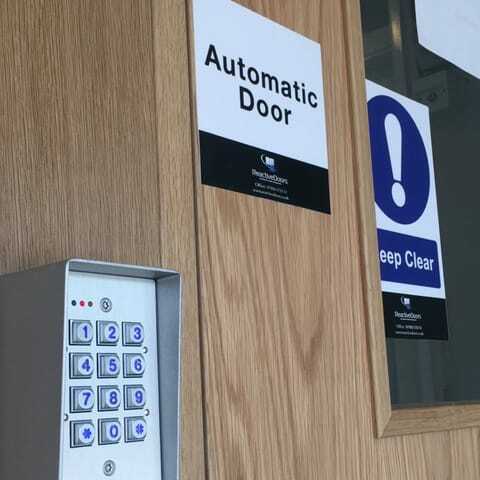 Reactive Doors Ltd specialise in the installation, maintenance and repair of all types of automatic door and pedestrian door systems. Our customers include renowned retailers, schools, hospitals, hotels and residential properties. We also install access control systems to provide seamless access or increase security for your perfect entrance. What separates us from other door contractors is our passion for customer service; it is at the heart of everything we do. Based in Milton Keynes, Buckinghamshire we primarily cover Bedfordshire, Hertfordshire, Buckinghamshire, Milton Keynes, Oxfordshire, Cambridgeshire, Northamptonshire and London. We work alongside our customers, paying attention to their specifications and architects requirements to create the ideal entranceway to suit your needs. 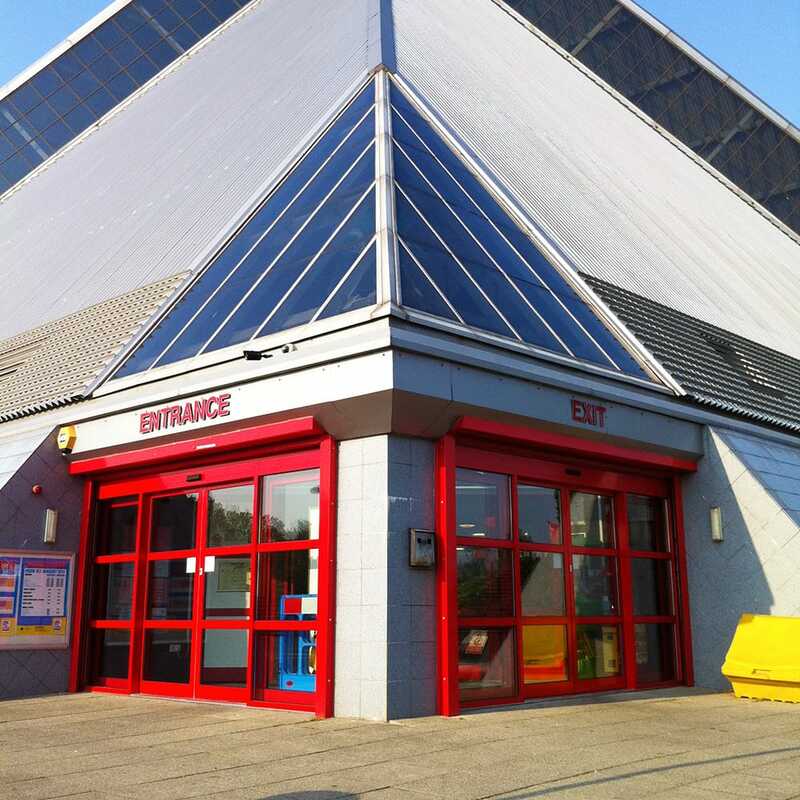 With over 40 years combined experience our Automatic door engineers have the technical, project management and service skills to meet the most challenging of circumstances. 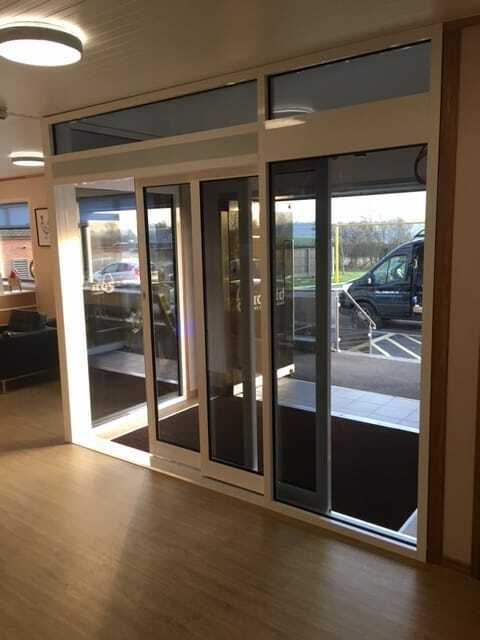 Whether it be an automatic sliding door, automatic swing door or any automated entrance we will guide you through from conception to completion to make sure your building has the correct entranceway for your customers needs. Our customers can benefit from the peace of mind that we offer a 24/7 coverage. All of our work exceeds the current regulations governing automatic doors in accordance with BS EN 16005 and BS7036:1996. All work always complies with the latest DDA regulations.